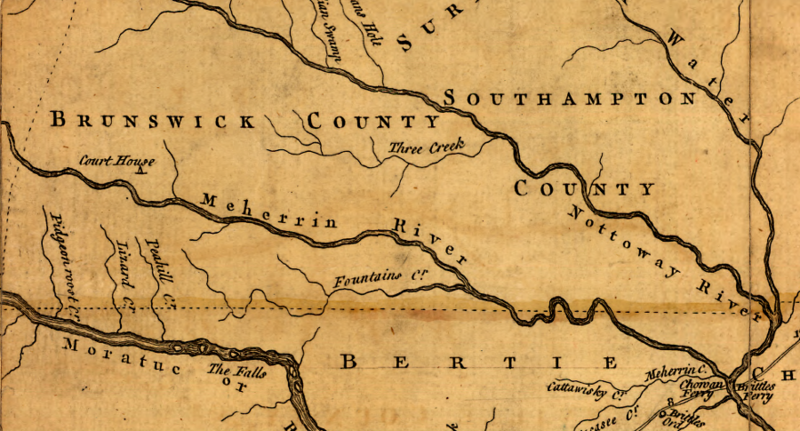 The General Assembly created Brunswick County in 1720, at the same time it created Spotsylvania County. In Europe, Brunswick was one of the German states ruled by George I, a Protestant who had been recruited by the English to serve as their King after Queen Anne (rather than allow a Catholic relative of James II to assume the throne). While Lieutenant Governor Spotswood personally encouraged development in the Rappahannock watershed, the new county south of the James River grew very slowly. Government operations in Brunswick County did not start for a dozen years. County operations require county taxes. Until 1732, there were not enough "tithables" to make Brunswick County operations affordable - and it could start then only because the General Assembly added portions (with taxpayers) from Surry and Isle of Wight. William Byrd II explored the area when he surveyed the dividing line between Virginia and North Carolina in 1728. 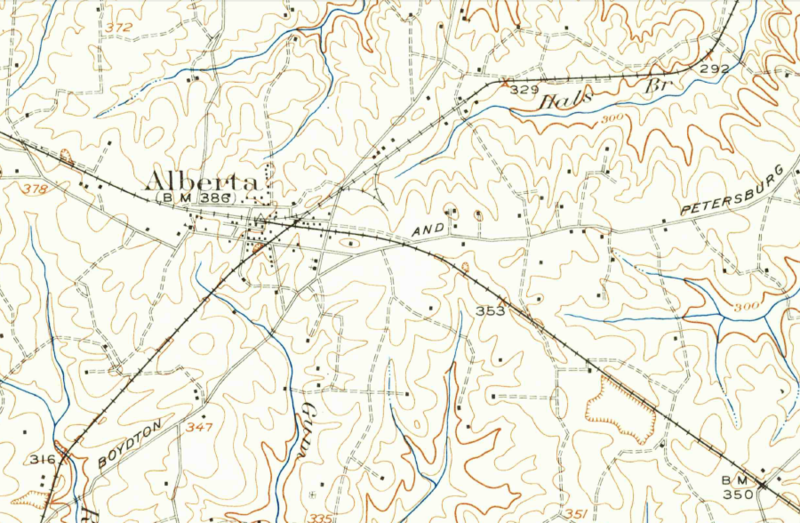 In 1733, he returned with William Mayo and John Banister, and he patented 105,000 acres on the Banister River in 1742. (Byrd named rivers for his travelling companions, but there is no Byrd River in Virginia...). In 1748, Brunswick was divided and Lunenburg County formed on the western edge. Today the county is famous in part because of Brunswick Stew.